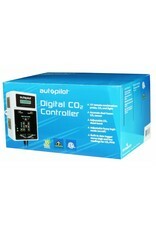 Autopilot's simple to use highly accurate digital CO2 controller has arrived. Autopilot's digital CO2 controller measures the carbon dioxide level in the grow room and automatically turns on and off the CO2 device to accurately keep the carbon dioxide PPM at the desired level. 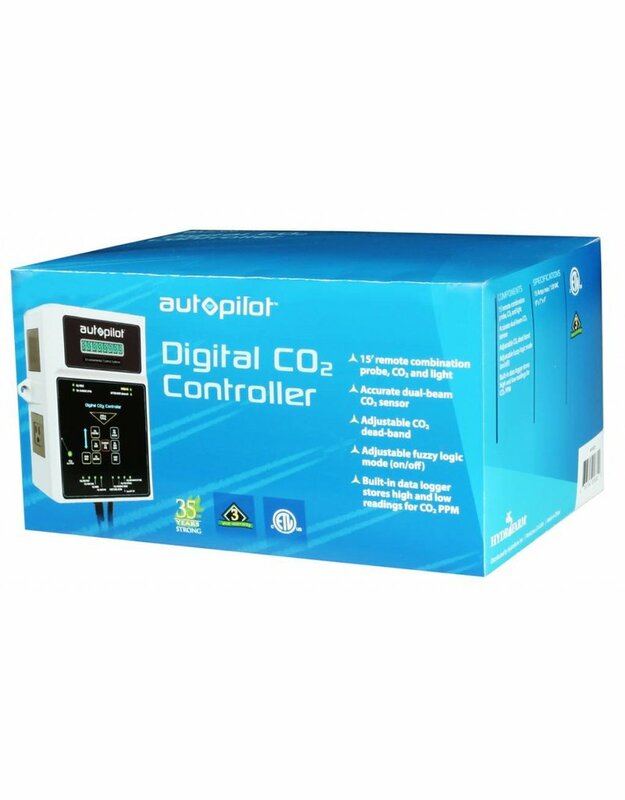 The Autopilot digital CO2 controller can be selected to operate in Fuzzy Logic mode or standard logic CO2 injection within the room. When used in Fuzzy Logic mode, the built in microprocessor will apply the calculations to the injection schedule which eliminates the guess work and maintains CO2 levels efficiently. Standard logic CO2 controllers will not make these calculations and will continue to inject more and more CO2 into the room until the controller reaches its set point. Standard CO2 injection methods do not allow enough time for the carbon dioxide to mix with the air. Standard logic CO2 controllers may be fine when using a CO2 generator which costs very little to operate, but can be costly and inefficient when using bottled CO2 tanks. The Autopilot Digital CO2 controller has a 15' remote CO2 sensor with built in photocell. Controlling CO2 has never been easier or more affordable. Autopilot's digital CO2 controller eliminates guesswork while it controls your carbon dioxide level with accuracy and efficiency. Autopilot offers guidance for your growing environment. Note: Do Not use Fuzzy Logic mode with CO2 generators.